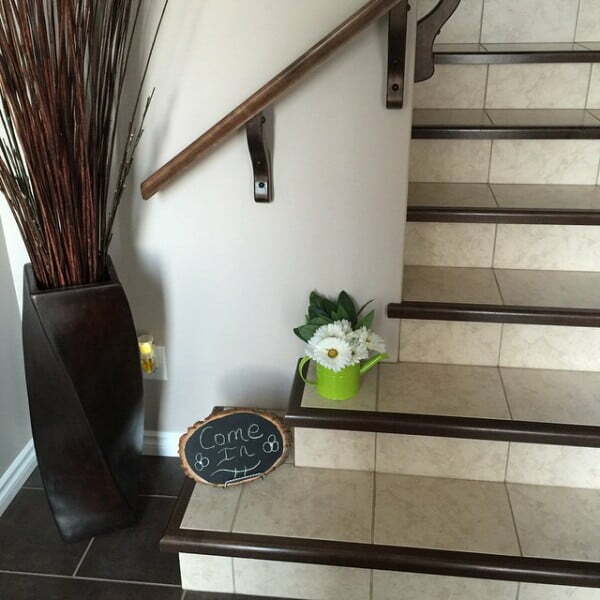 Looking for spring decor ideas to freshen up your home for the new season? Here are some of the cutest ideas for your inspiration. Even the deep chill of the long winter months cannot deny the fact that spring is on its way. The freezing temperature has many people longing for spring, and its promise of warmer weather and the showcase of beauty nature have in store. For some individuals, spring provides the perfect opportunity to spruce up their homes and add vibrant colors to drown out the cold and dreary shades of the previous season. For many, spring comes with a sense of renewal and rebirth that can be easily replicated in your home décor. There are tons of projects you can create to celebrate the gratifying glories of the season. From colorful and creatively-designed spring wreaths to unique vases and other intriguing accessories, you can allow your home to announce the arrival of spring. 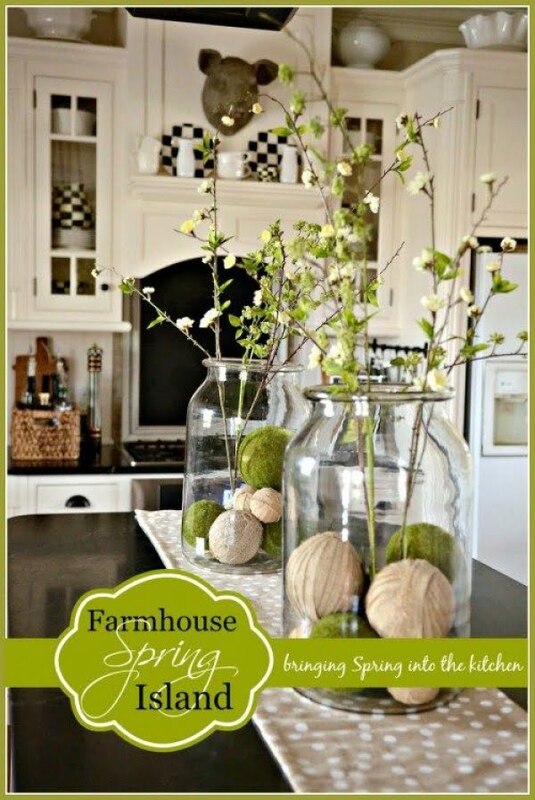 Below are some DIY spring home decor ideas to get your creative juices flowing. 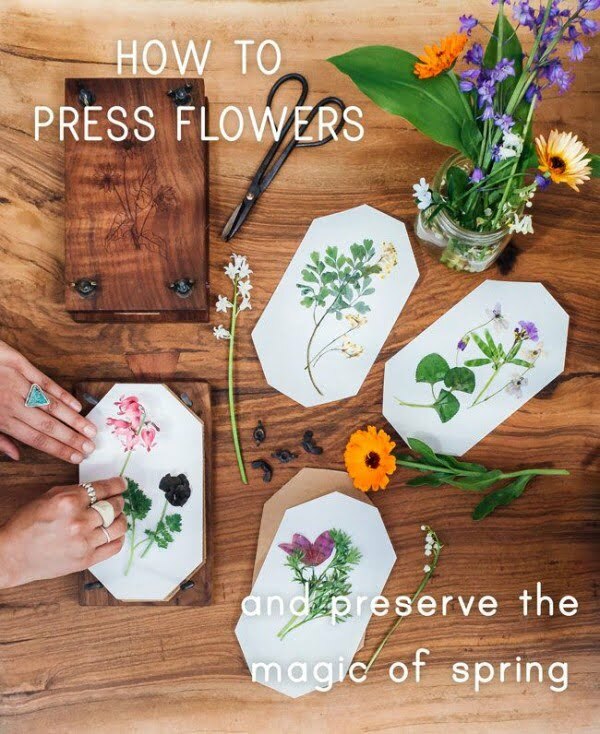 Pressing foliage and flowers is a simple method of chronicling and keeping the colors of spring. Additionally, gathering flowers for this project will provide a remarkable way of engaging your senses. It will also heighten your appreciation of nature and the blissful beauty it delivers. These fantastic decorative jars are clever, pretty and can be used for a multitude of purposes. Besides home décor, you can make them for your guests as a wedding or party favors or give them to family members and friends as gifts. This fantastic work of art is gorgeous, versatile and will help to make your creative juices flow during the design process. With the foundation of a two-tier stand, made from 2 plates and two candlesticks, you can use reindeer moss, flowers, birds and other necessities to create this whimsical masterpiece. Made from canvas, this masterful creation is an inexpensive way to add beauty and interest to your home this spring. With a burlap canvas, a foam bunny, a bag of moss and some other essentials, you can start the process of creating this fun project. 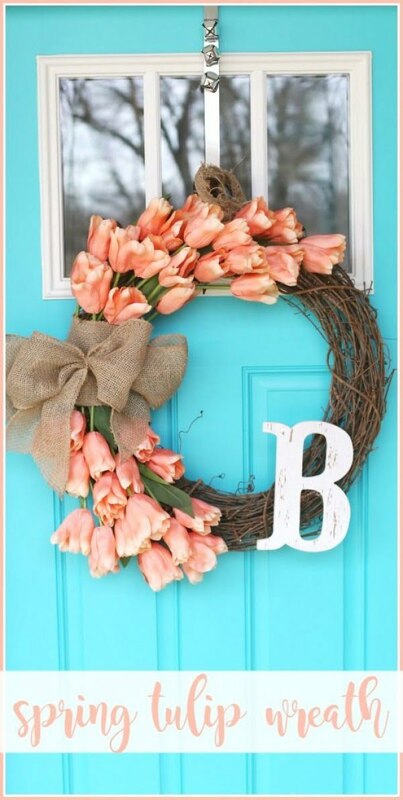 With pastel colored tulips bunched onto its side, this otherwise rustic wreath will add a fantastic floral refresh to any door. The gorgeous grapevine wreath and beautiful burlap ribbon effortlessly combine with the visually tantalizing tulips to create an amalgamation of awesomeness that cannot be denied. This farmhouse style island vignette will add interest to any space and enhance the overall look of your home. This wonderfully versatile creation can be used to add a bit of color to a neutral area or bring a muted vibe to a vibrant room. 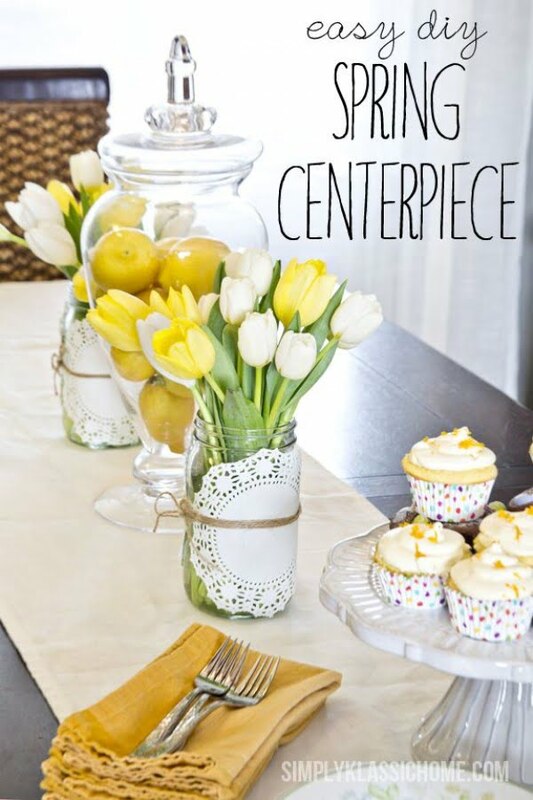 This spring, you can use a bit of color and a few fresh elements to pull together an affordable, easy and everyday centerpiece. For those who prefer a centerpiece with lower maintenance, you will be happy to know the same look can be replicated with faux elements. 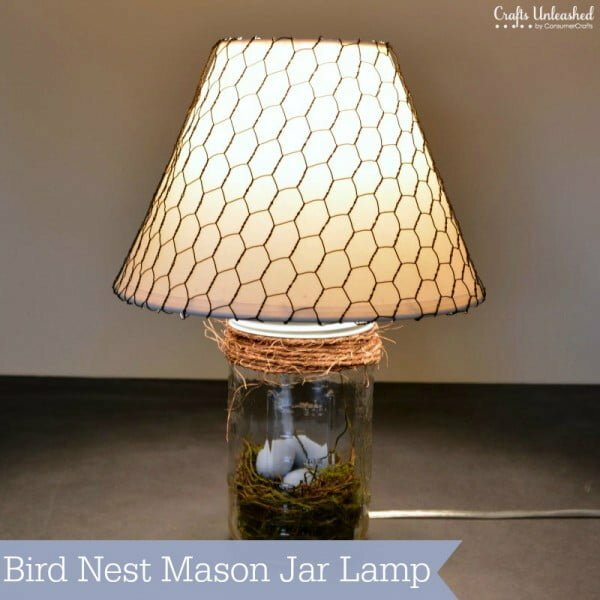 Birds are one of the perfect representations of spring, and a birds nest can bring beauty and texture to your spring room design. With items like some mossy vine and a few creative maneuverings, you will be able to replicate the unique charm of this original project. 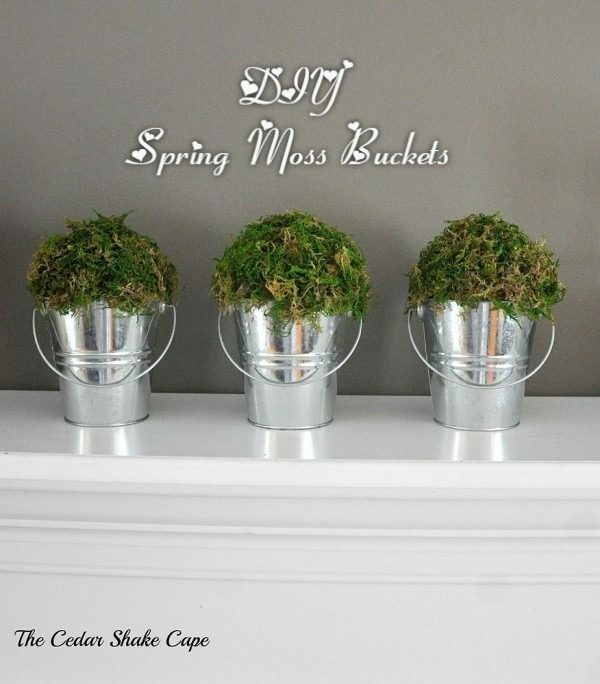 These simple yet tremendously creative buckets are an ideal addition to your spring décor. With some sheet moss, mod podge, buckets, and balloons, you will be able to take on the DIY project and complete it to perfection. After putting in the effort, you can relax and enjoy the outcome. This project puts a stunning spin on the typical spring wreath décor and provides a welcome change from the ordinary. The garden trellis used for the base is tastefully decorated with beautiful birds, butterflies and a bounty of fabulous flowers, which provide a wonderful welcome to those who enter. 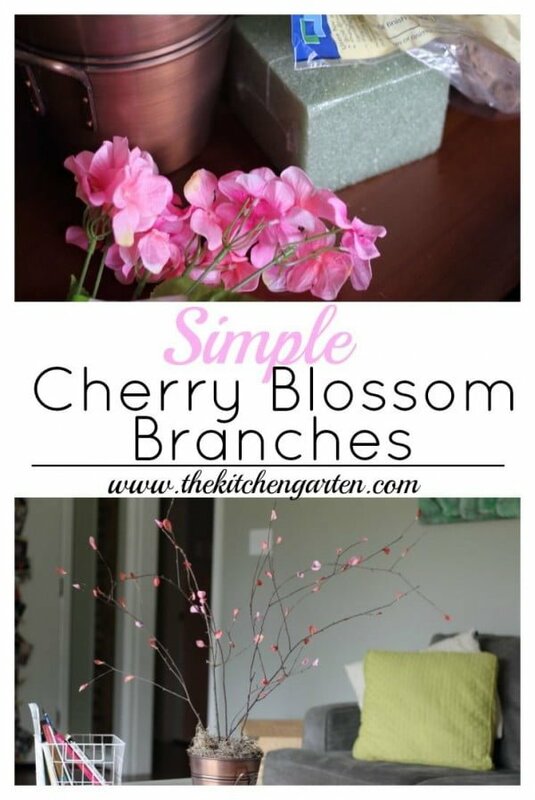 These cherry blossom branches provide a remarkable way of bringing the outdoors into the interior of the home. The branches that appear to be blossoming evoke a reawakening of certain spectacular aspects of nature that had gone dormant in the chill of winter. A plastic hula hoop is used as the form for this fresh, fun and cheery spring wreath. The faux flowers and faux greenery garland used on this piece creatively embody and exude the look and feel of spring. The twigs, buds, and foliage add another dimension of gorgeousness. 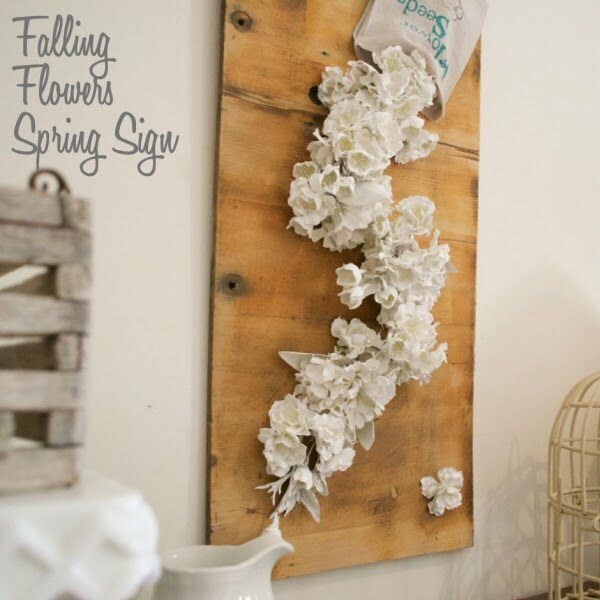 This unique and creatively designed spring sign provides the look of beautiful falling flowers and blossoms that are seemingly floating. The different textures on the items used are stunningly combined to create a visual masterpiece that is sure to be a stunning addition to your décor. This nature-inspired vertical garden is a fantastic way to bring some interest and functionality to your yard. With a wooden grid, paint, brush, power drill and a few other necessities, you will be able to create a functional and sensory sanctuary of your favorite herbs and spices. 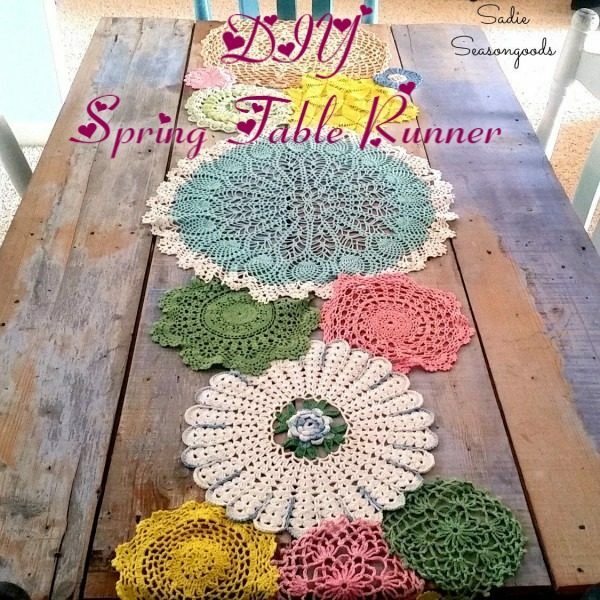 Creating this quirky, colorful table runner from pieced together lace and crocheted doilies is a great way to inject spring into the interior of your home. The mismatched nature of this table runner will add a lot of personality and charm to your kitchen or dining room. 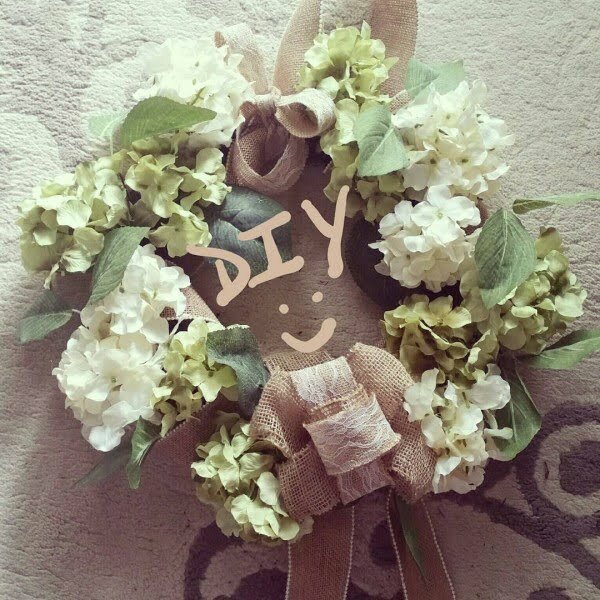 This elegant wreath provides a beautiful way of ushering in individuals into a rustic spring living room décor theme. The beauty and calm exuded from this wreath bring a sense of relaxation and homey comfort that sets the tone for what the home has to offer. This adorable watering can provide a beautiful and ingenious way to add life and color to and entryway and other spaces around the home. This small package of beautiful flowers and leaves packs a powerful punch by imparting a welcoming vibe on those who enter. 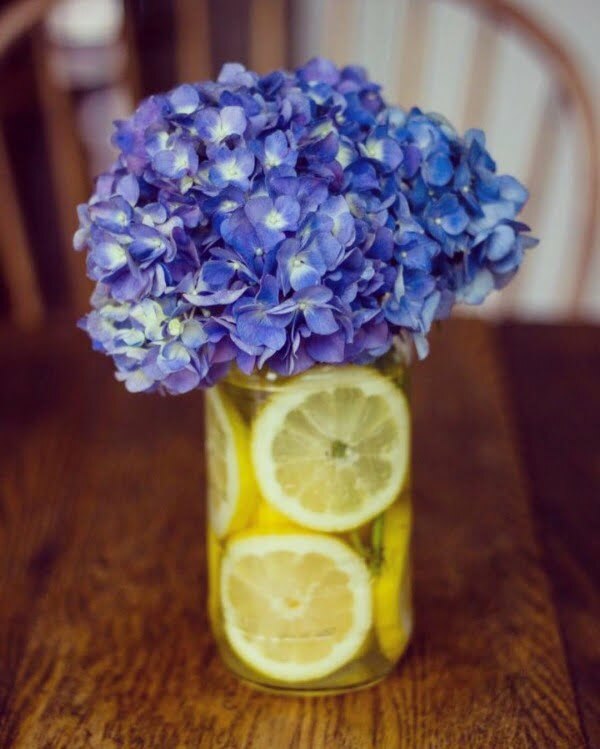 By merely lining a vase with lemon slices and adding your favorite bunch of flowers, you can instantly transform the look, feel and smell of your home. There is nothing quite like the tang of lemons and the fragrance of flowers to bring a sense of spring to your home. To create this thing of elegant yet straightforward beauty, you should go shopping or dig in your stash for a sign, paint, grapevine wreath and silk flowers. 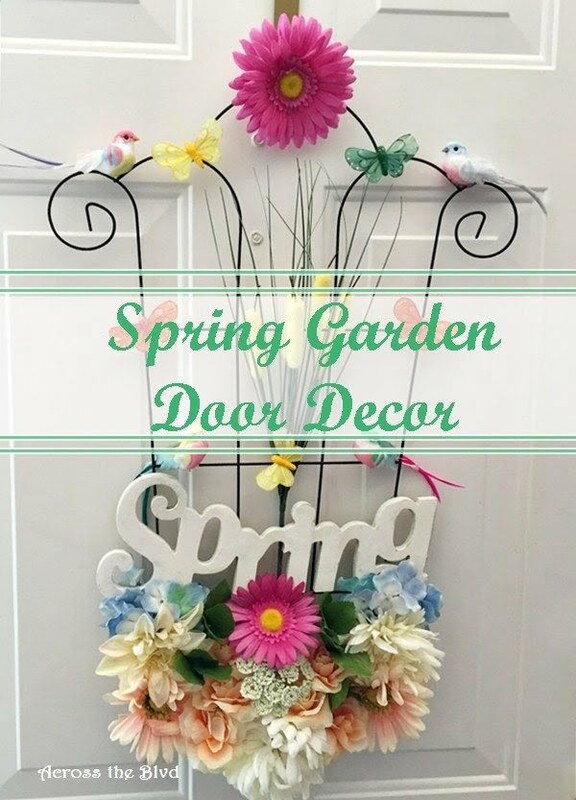 This DIY spring wreath will provide a warm and welcoming atmosphere for all who enter through the door. 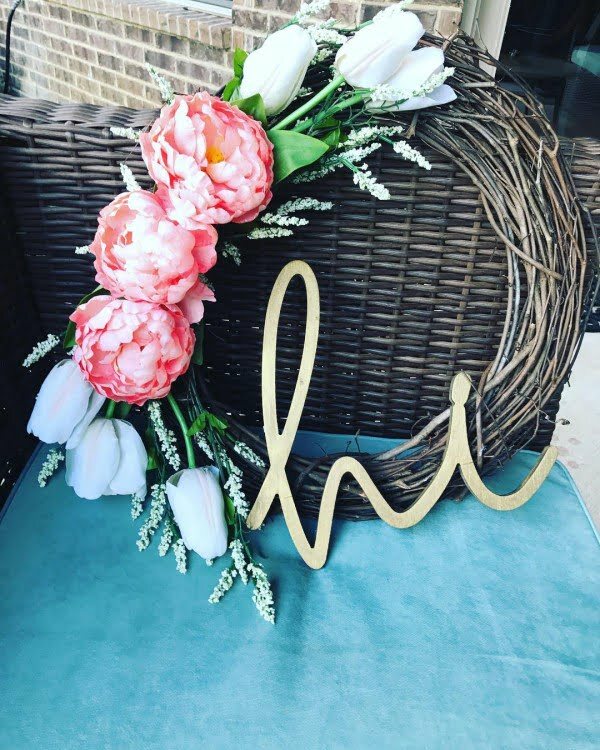 This beautiful spring wreath can be made in an insanely short amount of time and with very little money. However, the impact it delivers is priceless. 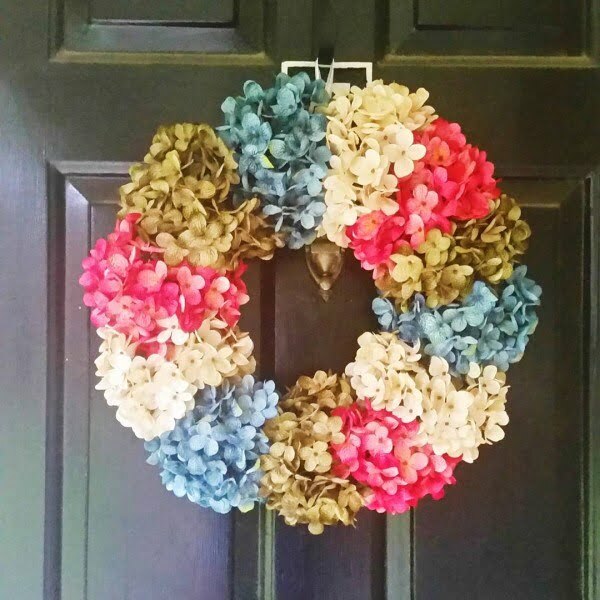 With inexpensive and colorful hydrangeas you can create a wreath that is sure to make the entrance into your home more pleasant. 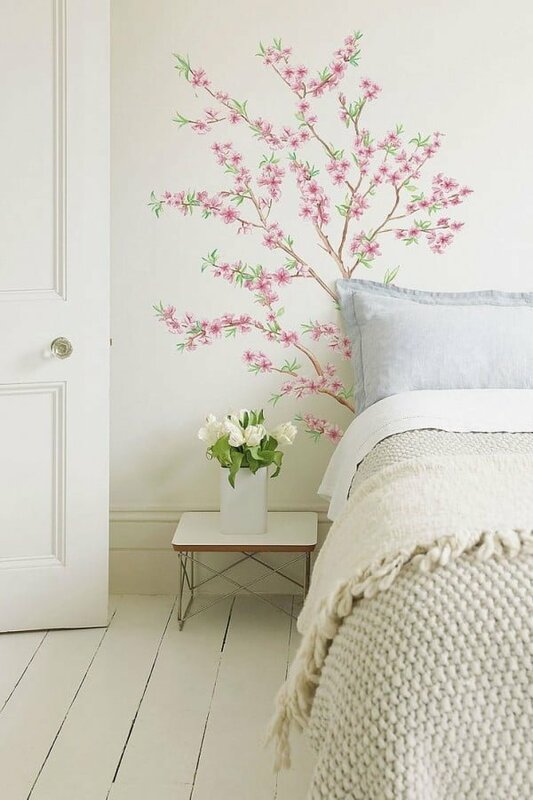 Wall decals are easy to add and remove so you can get some playful spring patterns to play with and brighten up the mood. 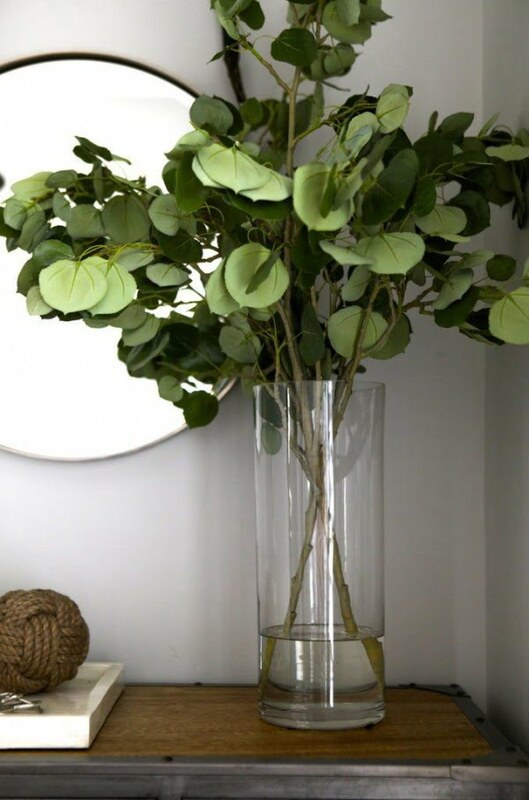 Bring some spring back home with fresh green branches for a minimal but very much alive look. 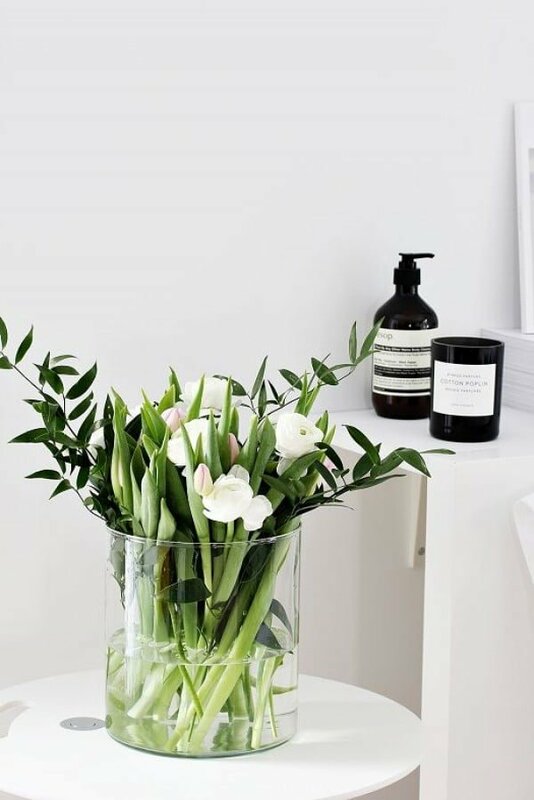 Get some more fresh flowers to every room of your home, even the bathroom. 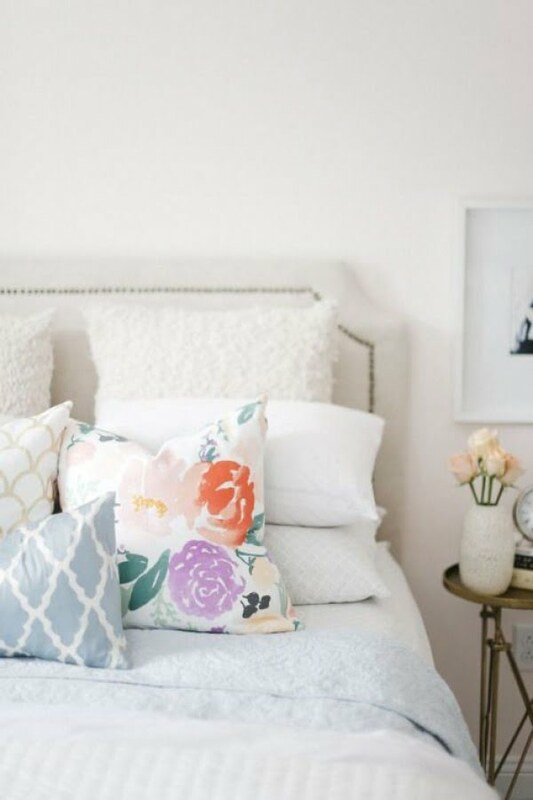 Spring is the right time as any to update your bedding. Get some new bright textiles to lighten up the bedroom. 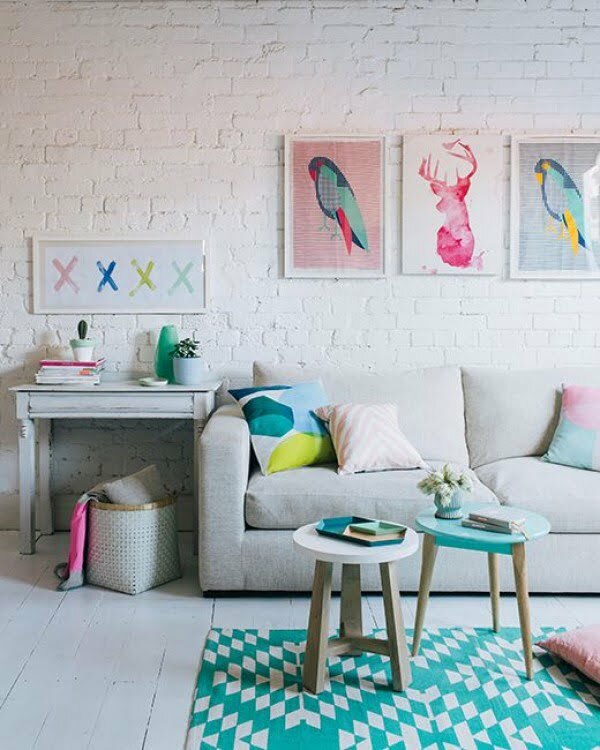 Nothing defines spring more than playful pastel colors, so get some accent pillows, textiles, vases, and other accessories to add around your home. 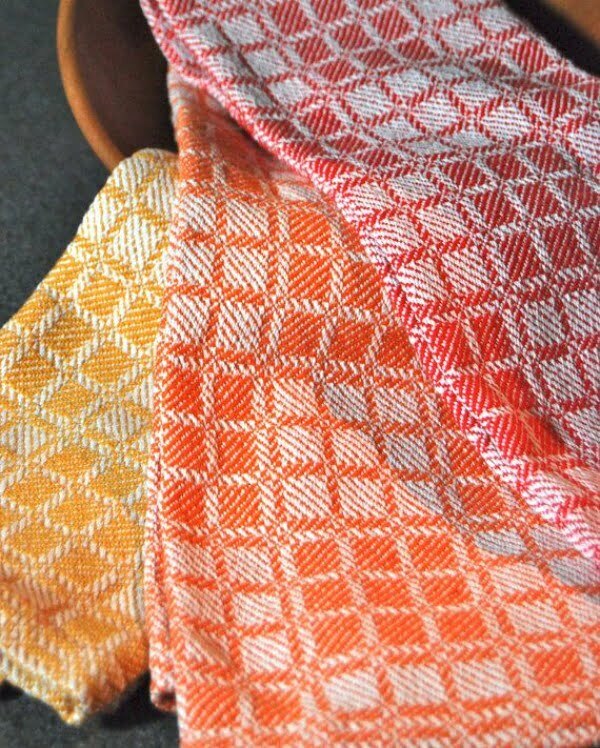 Likewise, bright color linens are perfect to bring instant spring mood to the kitchen. 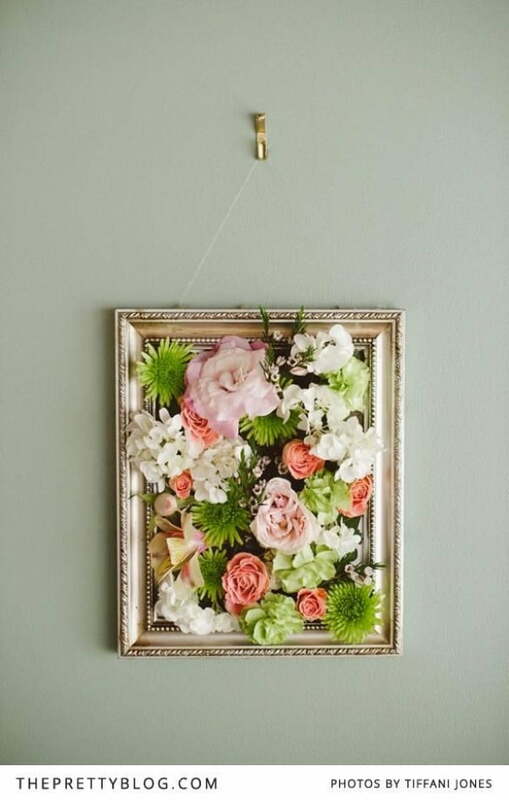 A little DIY project like framing a flower arrangement will be a fabulous spring accent for your home. Spring may be the time to change your curtains, especially if they are dark. 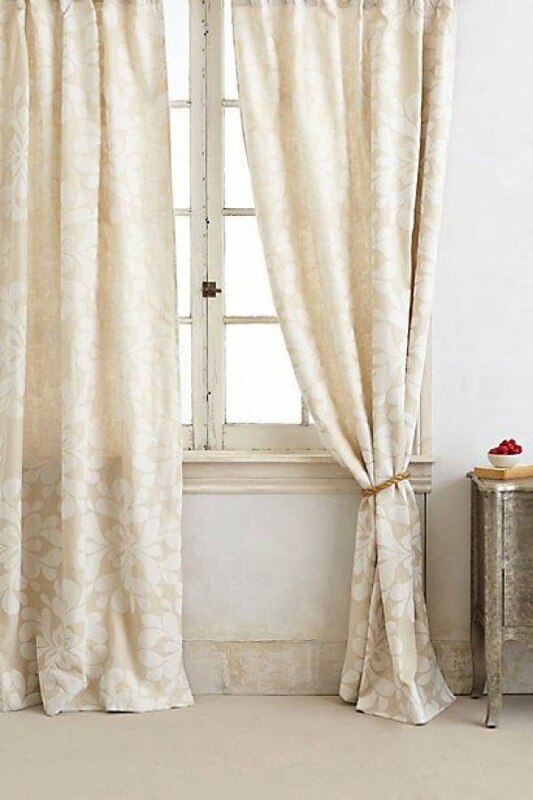 Consider bright creamy curtains with delicate floral patterns. 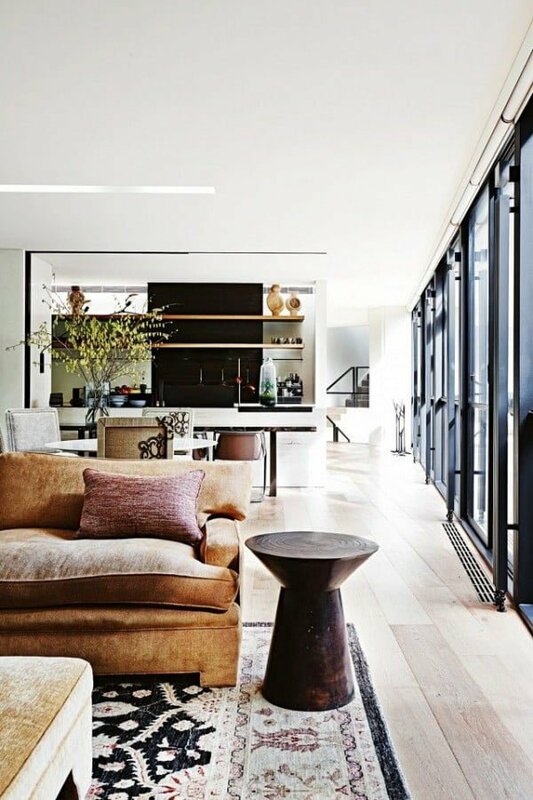 Add something small but new and modern, like a cool side table or a stool. Sometimes all it takes is rearranging old things to get a new look. 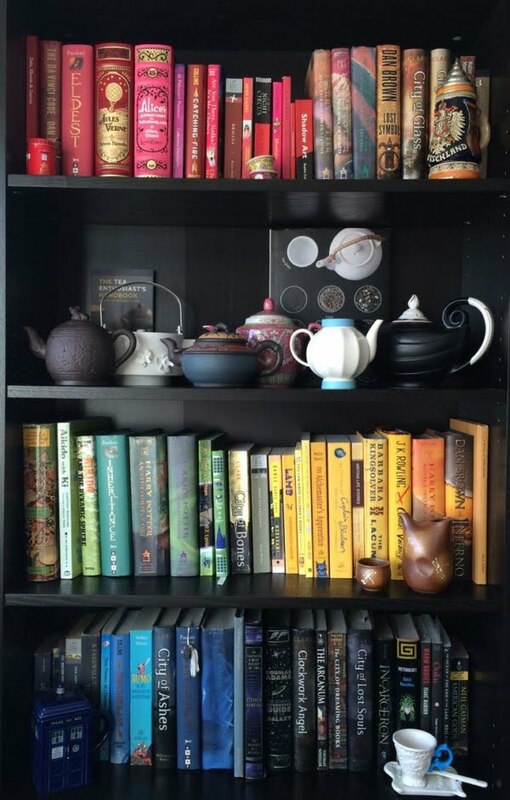 Rearrange your books by color and make the bright covers the focal point. 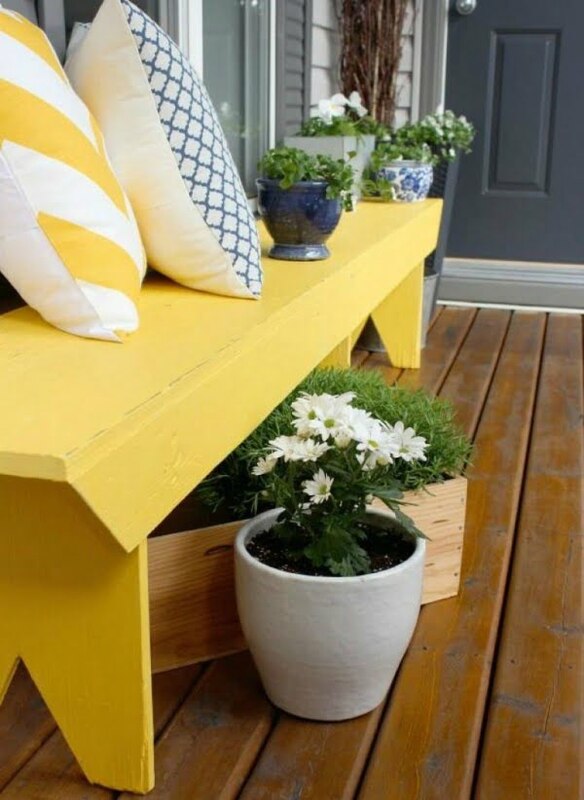 Add more fresh flowers and pastel color accents to your front porch and entryway so that the spring mood is the first thing everyone sees in your house. 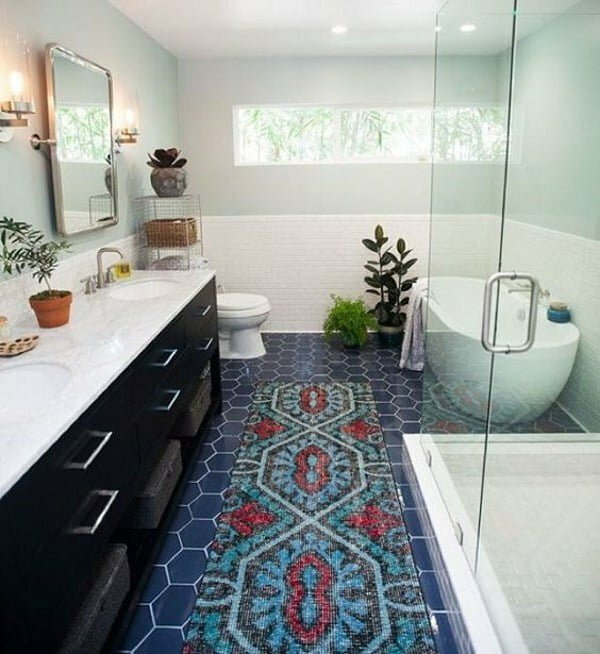 A real rug instead of a bathroom mat will hold up just fine, and it will refresh the space especially if you get one in a pastel color.